August Break: Produce – Sunshine. Whimsy. Tacos. I’m on an August Break from my regular blogging schedule. Here’s today’s pictures. I don’t cook much in my apartment, but it’s not because of a lack of food choices. It’s because of the space- my kitchen is the size of a postage stamp, barely a kitchenette. The available variety, though- that’s another thing entirely. The produce here is amazing. Just to give you an example, this is the produce section in the grocery store that I do about half my shopping in. 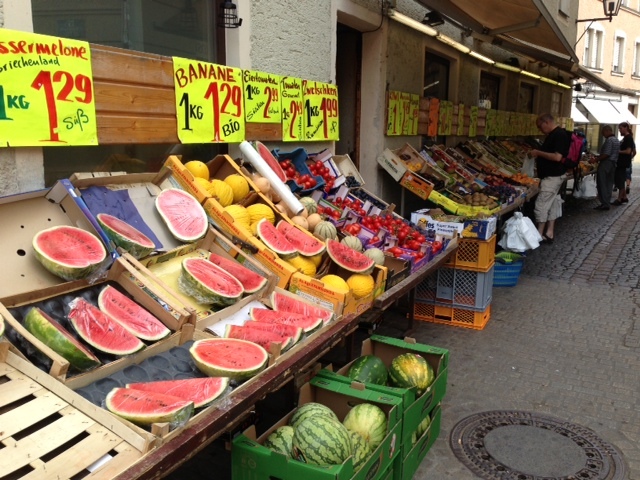 These pictures are of another small store in the Altstadt. I walk past this store several times a week. 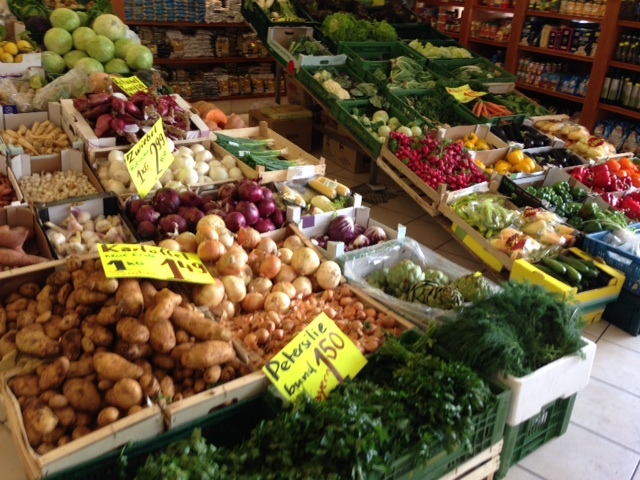 The produce here is amazingly fresh and they always seem to have the best. 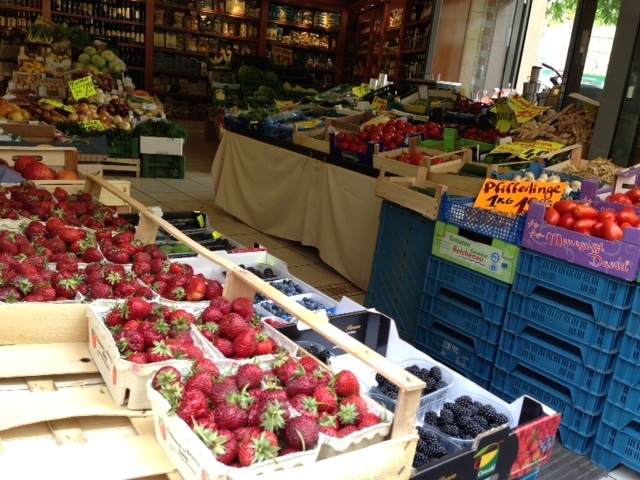 Avocados, strawberries, you name it- it’s all available here. 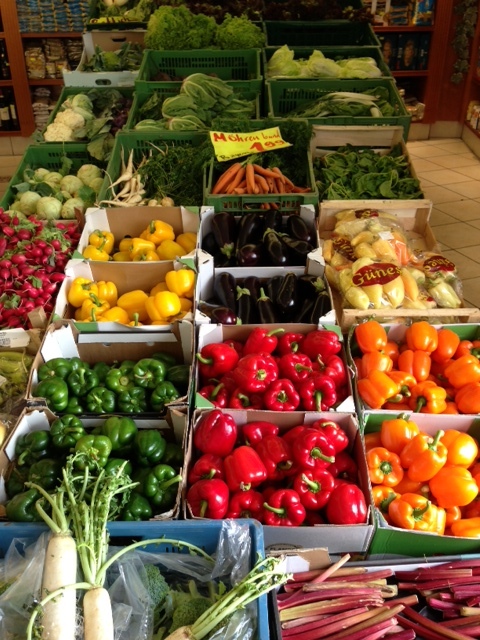 What would you cook if you had this much fresh produce available to you every day? You’ve just inspired me to write about food! My local supermarket is terrible. 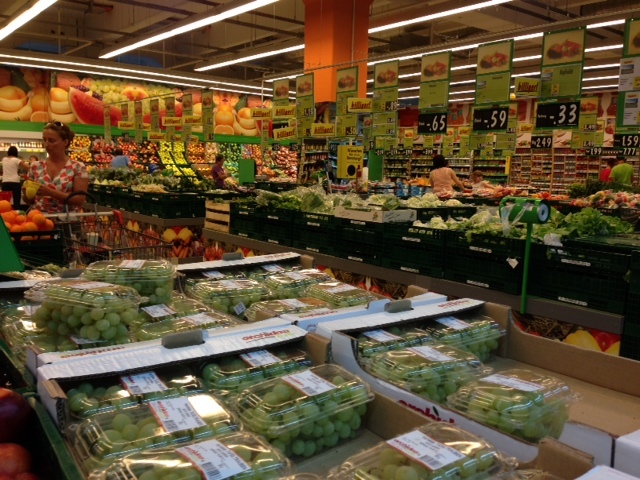 I usually shop at smaller Turkish fruit and veg stalls, and get other things from either DM (gluten free things) or Chinese supermarkets. I go to a supermarket about once every 2 months, to buy things like ketchup. One of the best things about living in New Hampshire is the easy access to fabulous and fresh fruits, veg, eggs, dairy and meat. So even though we have 2 gardens (that provide us with lettuce, herbs, broccoli, peppers, tomatoes and pumpkins), half of our grocery bill is spent in the produce dept. and at pick-your-own farms.